The creche runs each Sunday morning for the du ration of the church service in the specially equipped creche adjacent to the main church sanctuary. It opens each Sunday morning at 10.45am to welcome the children and their parents, once the children are settled parents get the chance to relax and enjoy the morning service while their children are being cared for by a team of dedicated helpers. Creche caters for babies and children up to 3-4 years before they move on to Sunday School. 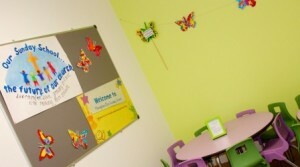 Creche provides a great ministry where we can meet and build relationships with parents and children. 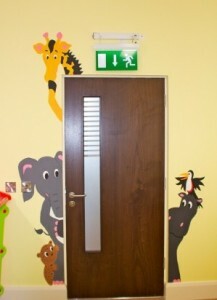 A parents room is provided in the church for parents who wish to use it during our church service. The church service is televised into the parents’ room allowing parents to engage in the service while being in a relaxed environment with their baby/child. Our motto: Our Sunday school, the future of our church; learning in love, growing in Christ and making Him known. 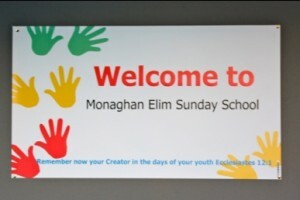 Sunday school meets every Sunday ( September-June) from 11.20am to 12.30pm in our church building. We have a great team of teachers and helpers, all on a rotational basis each week. All of our teachers and helpers are Garda-vetted. We have six different classes; Footprints to Faith, E.D.G.E, Pathfinders, Faith Explorers and 2 Bible Classes (on alternate weeks). material aimed at preschool age. indepth bible study each week to help each young person to grow and get a better understanding of God’s word. We pray as a team that as these children begin to grow further in their Christian walk and as they face more worldly pressures that they will be confident and have the wisdom they need to give God all the glory in everything they do.